Vitamin B3 Deficiency: Could Low Niacin Levels Be Causing Your Fatigue? Niacin is one of the most important nutrients involved in energy production. Learn how to identify whether or not you are suffering from niacin deficiency and how to properly correct it. Most people have never even heard of niacin deficiency, so the notion that you could suffer any ill effects from having too little of this vitamin in your system would never cross their minds. Indeed, it is no longer a common deficiency in most advanced economies – primarily due to the fact that flour is now routinely fortified with this and other vitamins. Still, it is not as rare as some might think either. And, since niacin is so crucial to so many areas of health and plays such a powerful role in metabolism, anyone who suffers from the effects of fatigue would do well to learn more about it. After all, one of the most profound effects niacin deficiency can have on your health is in the inhibition of energy production. That, of course, is a recipe for fatigue and all the ills that go with it. What is Vitamin B3 and How Does it Benefit You? Vitamin B3, which is also referred to as Niacin, is another water-soluble vitamin nutrient within the B group. Like many of its brethren, it is useful for adrenal health, aids in metabolism, and maintains a balanced and calm nervous system. It has an important role in the conversion of both fats and carbohydrates. When niacin levels are low, the body’s ability to convert carbohydrates, proteins, and fats into useful energy can be compromised. Because this vitamin is involved in more than four dozen essential metabolic processes, its absence can impede normal metabolism and result in serious health complications that can even cause death in some instances. Patients who suffer from low levels of this crucial vitamin can experience an imbalance in their blood sugar, since niacin also plays a role in controlling insulin. People who suffer from a deficiency of this vitamin often experience a disease known as pellagra – which presents symptoms that include physical signs such as diarrhea and skin conditions, as well as mental issues like depression or even dementia and other forms of mental and emotional imbalance. Pellagra is a disease that is typically found only in developing countries, where protein intake tends to be lower than the recommended levels. However, niacin deficiency can still occur even in countries where niacin-rich food is in abundance. In most instances, it is associated with people who eat unbalanced diets with little protein - a phenomenon most commonly seen in low-income communities. In the developed world, most deficiencies are of the minor variety. As such, symptoms involve things like fatigue, apathy, depression, diarrhea, and rash. Patients who experience those signs should have their vitamin levels tested to determine the cause. Clinical evaluations are used to diagnose this deficiency. While that can be a fairly routine matter when the symptoms are pronounced, diagnosis is rarely that simple. Symptoms can point to niacin deficiency as a root cause, but it takes laboratory examinations to confirm those assumptions. Typically, these tests involve the use of urine analysis. There are many quality sources for vitamin B3 in most people’s diets. These foods include things like tuna and eggs, salmon, mushrooms, nuts, and legumes. Carrots, broccoli, sweet potatoes, and tomatoes are also excellent sources. Most commercial cereals and breads are also fortified with the vitamin. Milk, beef, ham, and potatoes also provide this crucial nutrient. Experts commonly recommend that anyone who is diagnosed with this deficiency focus first on consuming food sources that can provide the necessary amounts. In those rare instances where medical conditions or other factors make absorption of niacin inefficient, some doctors will have patients supplement their niacin levels with 50 mg of the vitamin – preferably in the form of a multivitamin that contains the other B-complex array. It is important to note that higher dosages should only be used under the guidance of a competent physician. Since high levels of niacin are dangerous – and have been used as recreational drugs in some areas of the world – a prescription is required. Niacin from food never causes side effects, and most people cannot overdose even when supplementing, since that would require taking doses of 3 grams or better daily. Still, it can happen with extremely high intake, and usually produces side effects such as itching, cramps, diarrhea, headaches, and even liver toxicity when the dose is high enough. As a general rule, if you are supplementing in any way other than a multivitamin then it is wise to do so under the supervision of a medical professional. There is, of course, good news as well. Even though B3 deficiency can be extremely dangerous when it goes undetected for long periods of time, that is something that rarely happens in most developed countries. Patients who are at least moderately aware of the onset of symptoms related to this deficiency can almost always have the issue dealt with before any lasting damage can occur. 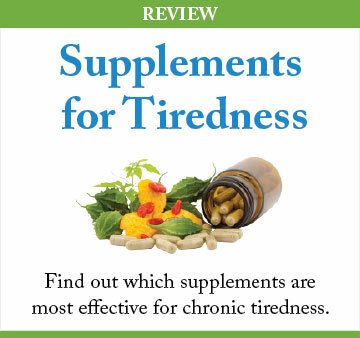 There are many reasons why people suffer from low energy levels and general fatigue. One reason can involve a deficiency of the essential vitamin B12. The vitamin B group is essential for everyone’s health but is particularly important if you are suffering from fatigue. What are the symptoms of vitamin B group deficiency and the best ways to gain enough of this vital nutrient? B6 deficiency can be very disruptive to energy levels. Learn the signs and symptoms of low vitamin B6 and how to correctly supplement this important vitamin. Vitamin E have a tremendous role to play in the body’s energy levels. Learn the signs of low levels of vitamin E and how to correctly supplement this important vitamin (including potential interactions and side effects). Vitamin A deficiency has a huge impact on overall health and energy levels. Find out if your fatigue is caused by low levels of vitamin A and how to properly correct potential deficiency. Vitamin B1 - thiamin - deficiency can lead to severe fatigue. Learn the signs and symptoms of low thiamin and how to get adequate daily dosage of this important vitamin. Vitamin B2 – aka riboflavin – is crucial for maintaining adequate energy levels. Learn how riboflavin helps in fight against fatigue and how to identify whether or not you suffer from vitamin B2 deficiency.